4 Options to Fix Mac White Screen.Here are Real Fix! Yesterday, I experienced my Mac was stuck on white screen. I don’t know why and how can I fix this issue on the Mac? Yes, I have found a mac tool that I use to fix my Mac issues by the Mac cleaner, keep reading and find out the best way! Mac is one of the most popular brands when it comes to laptops or computers. Users can really rely on this during their working days or do a projector using it for business purposes. However, there is a rare case that the Mac PC can experience and this is the white screen of death. Just like the Windows computer having the blue screen of death, Mac also has its very own version. This kind of problem on Mac usually happens if there is an incompatibility with its drivers or if some applications have failed to upgrade which causes your Mac to get stuck on the white screen. Just to be clear with what we are dealing here with, this is actually the case wherein your Mac PC or laptop gets stuck on a white screen and not having a logo, there is no progress bar is shown and all it shows you is just a blank display. There are actually several more reasons as to why this happens to your Mac. And because of this, we are going to show you some troubleshooting tips that you can use for you to be able to fix this type of issue. Mac is considered to be one of the most reliable computers in our time. However, this does not mean that your Mac will not have any issues at all. In some occasions, there are instances that you might experience trouble using it and it just won’t load up. Once that this thing happens, you will only see a blank screen and your Mac becomes unusable because it won’t turn on. Before you decide to do anything on your Mac, you can first consider on checking on your peripherals. You can try to disconnect them first if you have any like your printer, scanner, USB devices and other device connected to your Mac. Just leave your keyboard and mouse connected. After that, you can try to reboot your Mac and if your Mac was able to reboot, then there is a possibility that one of them is the reason why your Mac is stuck on the white screen. But, if there your Mac still fails to load and you are still on the white screen, then you can try some other options. There is a safe mode feature on your Mac that is designed for troubleshooting. This actually lets it check to find anything that is causing it to have a system error. If your Mac is unable to turn on, then the first thing you should do is to put it in safe mode. For you to be able to start up your Mac in a safe mode, do the following steps. Go ahead and press the power button. After that press and hold the SHIFT key. Once you see the Apple logo on your screen, then you can release the Shift key. Once you have boot up your Mac using safe mode, then the first thing that you need to do is for you to clean up your cache files. This is because, through time, the files in your cache start to pile up and become outdated. Clean up everything that is unneeded on your Mac because those unneeded files and apps on your Mac can be the reason why you are getting a white screen. If your Mac is working fine on safe mode, you can go ahead and reboot it in the usual way and check if your Mac is working fine. Your NVRAM/PRAM are actually a small unit in your Mac’s memory that is used for you to store some settings and have them access quickly. The settings that we are talking about are your volume, startup disk section, time zone, and some other settings. Resetting this can ease any issues that you have in regards to these. Here's how you can reset your NVRAM/PRAM. Press and hold down these keys until such time that you hear the startup sound. Once that you have heard the startup sound, go ahead and release the keys. Once that your Mac is done starting up, go ahead and adjust your settings like your display resolution, your time zone and more. Your disk utility is able to fix several problems that you might be experiencing on your Mac which includes a white screen. Because of this, you can use it if the above options did not work for you. Go ahead and restart your Mac by pressing and holding the Command and R key at the same time. Once that you see the Apple logo on your screen, release the Command and R key. After choosing the disk that you want to repair, go ahead and click on the First Aid button. Once that your disk says that it has been repaired, then it's all good. However, if your disk utility says that your disk is about to fail, then you cannot do anything about it. If none of the above options worked for you and you are still seeing a white screen, then there might be a need for you to reinstall your operating system. You do not have to worry about your files stored on your Mac because reinstalling your macOS will not affect them. Follow the guidelines below for you to be able to reinstall macOS using your internet. Press and hold the Command key + Option + R key at the same time until such time that you are going to see the Apple logo on your screen. After that, go ahead and try to reinstall your macOS and then click on the Continue button. Once that you have brought back your Mac into life, you have to make sure this time that you do proper maintenance to it. Doing this will prevent you from having more issues on your Mac PC. We are so sure that you would not want to be in the situation again that your Mac PC is stuck on white screen. So, what you need to do is for you to prevent this from happening again. Now, for you to be able to get your Mac PC well maintained, we have here the ideal software that you can use. This software is what we called the iMyMac Cleaner. Having the iMyMac Cleaner will surely help you prevent your Mac from getting stuck on your white screen again. Apart from this, the iMyMac Cleaner will also help you free up your storage space by deleting all unneeded files and apps that you have on your Mac. This program will help you speed up your Mac as well. 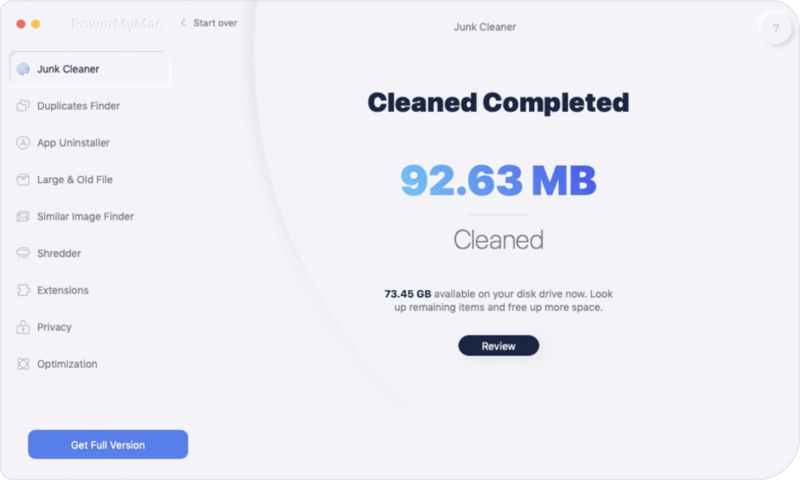 The iMyMac Cleaner can easily and quickly delete all of your junk files from your Mac. This program will also let you find and then delete all your unneeded email attachments, your multi languages on your Mac and your iTunes Backup file. It can also help you find all of the duplicate files that you have in your Mac and delete them. Download and Try this Software before you Buy! Try it by clicking the download button below. For you to be able to know how to use the iMyMac Cleaner, here is what you need to do. Have the software downloaded from our official website, and then install it on your Mac PC. Once you have fully installed the software to your Mac PC, go ahead and run the program. You will be able to see on your main screen, you check out the system status of your Mac. From the left panel of your screen, go ahead and click on the “Junk Files” option for you to clean up your Mac. Once that you have chosen the Junk File, go ahead and click on the Scan button. The iMyMac Cleaner will then start scanning your Mac to find all of your junk files. Be patient and wait until the program is done. Once the scanning process is complete, the software will then show you all the junk files that you have on your Mac. 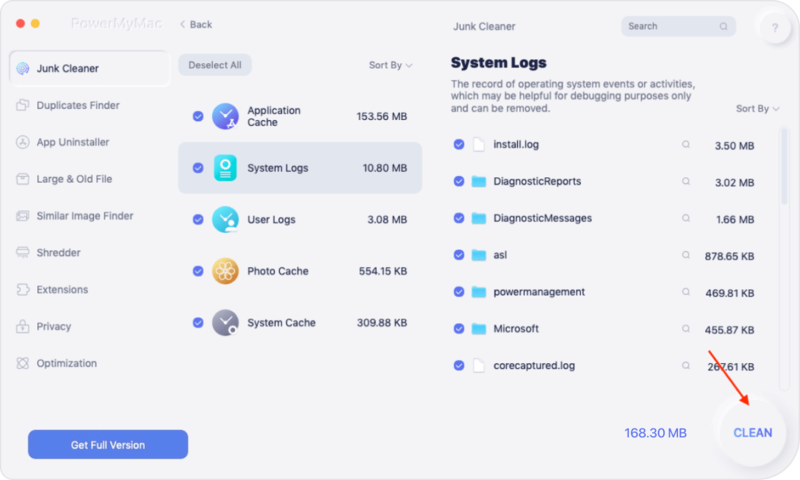 The iMyMac Cleaner will show your junk files by categories like application cache, photo junks, mail junks, system logs, user logs, and more. You also have the option to click on the Rescan button if you want to scan again your Mac PC. The software shows the junk files in categories, such as Application Cache, Photo Junks, Mail Junk, System Logs, System Cach, etc. As what was mentioned earlier, your junk files will be shown in categories. You will be able to see on your screen your Application cache, Photo Junks, Mail Junks, System Log, System Cache, and more. All you have to do here is to click the category that you would want to remove which is shown on the left side of your screen. Once you have selected the junk category that you want to delete, just go ahead and click on the Clean button. Confirm the action by clicking on the Confirm button on the pop-up message. NOTE: You repeat the earlier steps on the modules “Clutter”, and Large Old Files if you would want to clean them up as well. Once that you hit on the Clean button, the iMyMac Cleaner will then automatically clean all the junk files that you have selected earlier. You will be able to see beside the folder an indication that says “Zero KB” which means that program does not have anything in it anymore. However, some folders will not have this indication because they are auto recreated folders. It is really frustrating experiencing that your Mac gets stuck on a white screen. Because of this, you are not able to do anything. Luckily, we have found out some great solutions that you can do on your end for you to fix this kind of error on your Mac PC include Mac white screen. You can do all the following options above to see which one works for you. As long as you have brought back to life your Mac PC make sure that you maintain it well by removing all unnecessary files and apps that you do not need anymore. By having the iMyMac Cleaner installed on your Mac PC, then you will be able to maintain your Mac. This program can help you remove all the apps and files that you no longer need on your Mac. It can clean up your junk files, find duplicate files on your Mac and delete them. You can also uninstall all the apps that you do not need anymore together with all the files that are associated with that app. You can also clean up your trash completely. Doing all this on your Mac will allow you to have more storage space and will also boost the speed of your Mac performance. / Mac Cleaner / 4 Options to Fix Mac White Screen. Here are Real Fix!